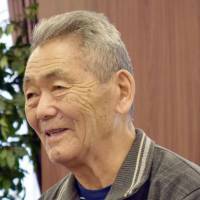 Tetsuro Ahiko, a former Japanese prisoner in Kazakhstan, wants his compatriots to steer clear of war. 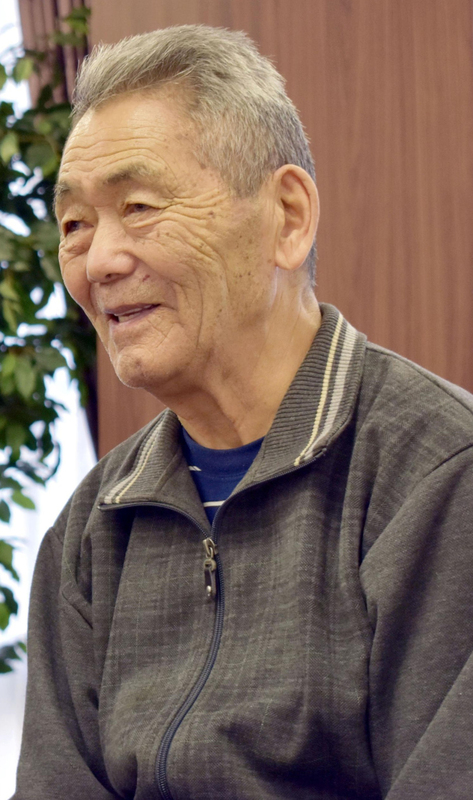 Ahiko, 87, was held prisoner by the Soviet Union after World War II and remained in Kazakhstan after his release. He now lives in Aktas in the Karaganda region of the former Soviet state in Central Asia. “Young generations don’t know that war drives people into situations like those I experienced,” Ahiko said in an interview on Dec. 19 while visiting Tokyo. His latest trip to Japan coincides with the first performance in Tokyo of a Kazakh play based on his life. Ahiko was born in 1930 in the now Russian province of Sakhalin, which was then under Japanese administration. He was held there after the Soviet Union joined the war against Japan in 1945. After being arrested by Soviet troops in 1948 he received a 10-year sentence. Then in 1954, a year after the death of Soviet leader Joseph Stalin, Ahiko was released from a prison camp in Karaganda. Unable to go back to Japan during years of turbulence, Ahiko married and settled in Kazakhstan. On Dec. 19, he attended a reception hosted by the Kazakh Embassy in Tokyo. On hearing “Kimigayo,” Japan’s national anthem, he welled up. “I feel like crying when I hear ‘Kimigayo.’ The memories of the desire to go home that I had when I was young are brought back,” Ahiko said. He visited the embassy again on Dec. 22, where he said that, given his age, this would be his last visit to Japan. “I love both Japan and Kazakhstan,” he said, using Russian and Japanese. In 2012, Ahiko moved to Sapporo with an intention of settling there permanently. But he found life in Japan difficult to adapt to, and went back to Kazakhstan. “I used to see children playing together, but not any more,” Ahiko said of his impressions of Japan. The play about his life was performed on Dec. 21 and Dec. 25 in Tokyo by the Kazakh State Academic Drama Theater, which is based in the former Kazakh capital of Almaty. Yerlan Bilalov, director of the theater, expressed hopes that the play will help the audience understand the friendship, love and desire for peace that Ahiko has never lost, despite his detention.